Surges and transients follow the path of least resistance, and a tiny gap between circuit board traces is an easy path for surges to reach the delicate computer bus, bypassing expensive isolation components entirely. B+B SmartWorx designs wide, 3-way isolation zones into select products. 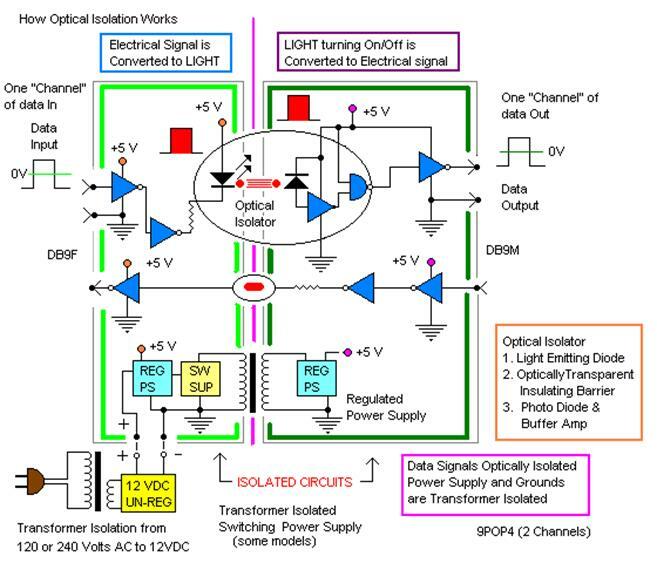 Powerful optical isolation on Input Data and Output Data ports protects data and equipment from damaging ground loops and surges. Additional isolation on Power supply circuits adds a third degree of protection.